All of our products are Handmade In the USA! call 253-884-2912 with any questions. We are always making more pottery. If you don't see what you like in your color, design or it says "Out Of Stock", please contact us, we might have it in stock and it has not made it to the website yet. Check the site links to the left for a little more about us. Here is one for either the kitchen or Bath! Our "Two Piece Soap Dish"
Great for the Kitchen or bathroom! as the ones pictured. 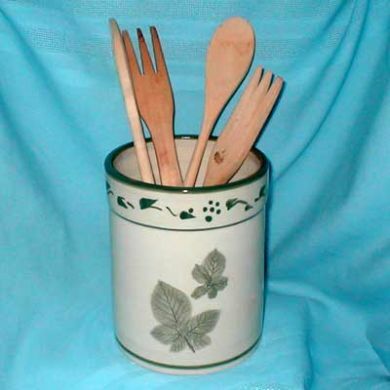 All of our pottery is Microwave and oven safe, 100% lead free and safe for food.